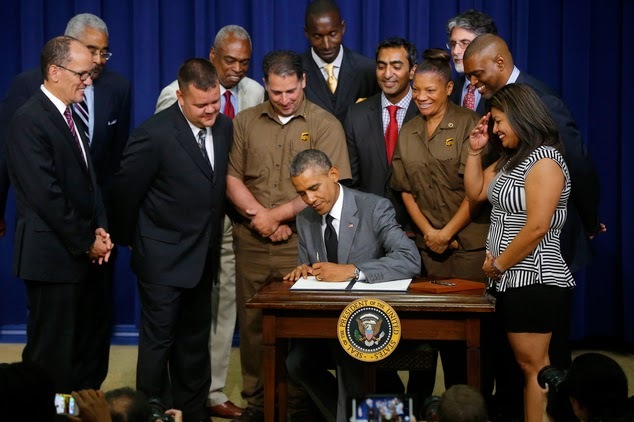 On July 31, 2014, President Barack Obama signed yet another Executive Order directing those companies who contract with the Federal Government to disclose an extensive category of labor violations, both on the Federal and State level. For those contractors where the estimated value of the supplies acquired or services provided exceeds $500,000, the contractor will be required to disclose to the contracting officer any administrative merit determinations, awards or decisions, rendered against it within the preceding three year period covering over 15 different categories of labor laws and standards. For contracts in excess of a million dollars, federal contractor will be prohibited from requiring mandatory arbitration of employment claims. The Executive Order becomes effective immediately. Common Sense Counsel: For a Federal Contractor, the cost of non-compliance just got extremely high. Proactively prevention of all labor employment related claims using an extensive work-site compliance audit is your first step to avoiding the President’s Scarlet Letter which could cause loss of a federal contract.